Most people think of social network sites as complete time-wasters, consciousness pollutants and attention distracting trash. Employers prohibit Facebook access on work, and proactive millenniums demonstratively refrain from checking Instagram more often than once an hour and boast about it on Twitter. But despite a common opinion, social networks are not good for sharing cat photos only. For a kickoff, studies show that employees who use social networking sites are 9 percent more productive than those who don't. That’s what you can tell your boss if he or she catches you scrolling Tumblr feed by surprise. But since most of us are entrepreneurs free of cubicles slavery, that’s not exactly the message we wanted to get across. The point is: social networks can be actually good for e-Commerce merchants. Yes, social networks can open new opportunities for merchants, establish new connections, help to promote business and even sell some products. If you care about marketing at least a little (and you certainly do, right?) that shouldn’t be the news for you. However, we’re here to widen your vision and show that Facebook/Twitter/Instagram are not the only networks you should pay attention to. Thus, we’ve prepared a list of some of the most promising emerging and well as already established social networks you can use for your own advantage. These six networks are great for spreading the word about your store and promoting your products. Since they’re still quite young and haven’t make their names yet, you have a great chance to burst into that communities with very few competitors around. Blab is a live video-chat application for iOS and Desktop that “lets anyone have their own show”. It’s capable of broadcasting up to 4 people talking live on camera at once and thousands of others (that can be invited directly from Facebook) watching them and chatting. Blab suits perfectly for hosting interviews, discussions, seminars, product videos or live workshops. Ever wanted to get on radio or even have your own podcast? Anchor -- a free iPhone app -- will let it happen and help promote your products. It’s designed to record and broadcast short audio clips to a global audience in seconds. You can either create your own discussions or join others, as well as thousands of users worldwide. After publishing, conversations can be easily shared as podcasts. Hyper is an app that makes connection with like-minded people easy. By using it, you can share images, hold chats and make posts directly to the areas of your particular interest. So, if you’re selling Matcha tea, for example, your post will be delivered to everyone in the “tea-lover” area notifying them about an update. And if the content you post is valuable to the community, instant feedbacks and votes will help you to get visible. Somewhat similar in its idea to a well-known Quora, Willow is a network to chat and share with others through sincere and interesting conversations. You can either ask questions there, or answer them to help others. Free and easy, it allows to build communities around topics that interest you, or have a relation to the products you sell. 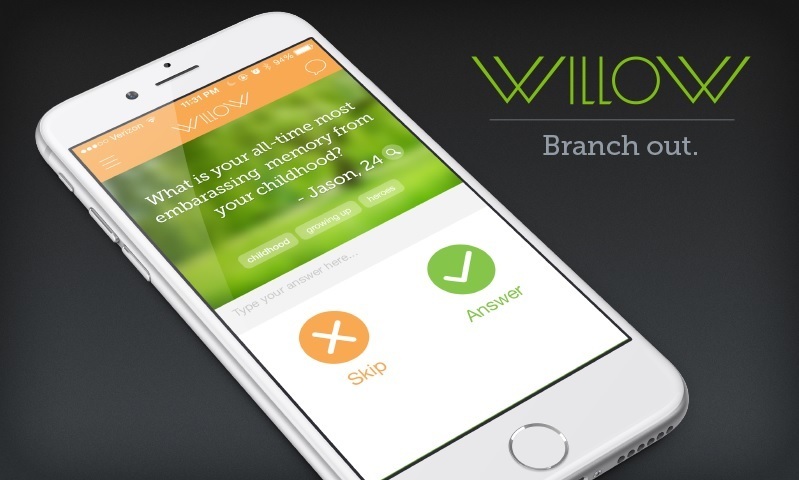 Willow is currently available on iPhones only. 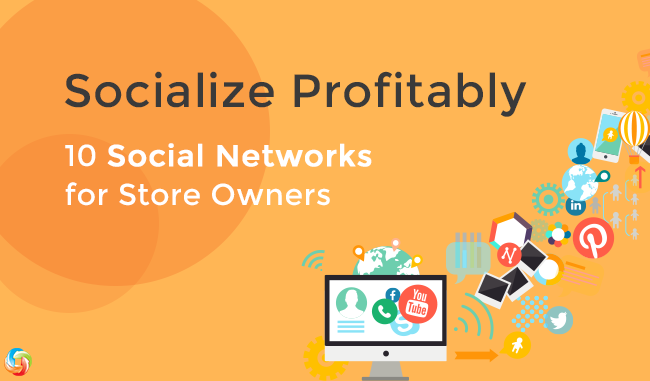 If your store is targeted at local market mostly, Alignable -- a social network for local business -- is a genuine treasure chest. It’s a perfect place to join together with local businesses in your community and collaborate for mutual benefit. You can create discussions there to learn and share with peers, cooperate with your allies and turn chaotic competition into a meaningful activity. beBee is an affinity-networking app for Android and iOS devices to connect with like-minded business people, share experiences, skills and opportunities. It allows to create feeds where you can find relevant content from your professional sector and join or create your own affinity groups. It’s also just the place to hire others or seek job opportunities, so keep your CV at hand. Next four social networks we’re to shortly review are well-known to everybody. Most likely, you’re an active user of each of them. So there’s little need in describing their concept and functionality actually. However, not everyone knows about their e-Commerce features, such as buy buttons, they’ve started slowly rolling out during the last year or two. Unfortunately, most of these features are unavailable outside the USA at the moment this article is written. But, of course, that’s just the matter of time. If you’re active reader of Cart2Cart blog, you couldn’t have missed our article on Pinterest Buyable Pins. But if you did miss it for some reason, here’s what you should know. Pinterest debuted their new Buyable Pins in June 2015 that allow website visitors purchase products directly on the social network. Half a year later, the number of buyable pins got as high as 60 million, which is a phenomenal result. Roughly speaking, this small new button has turned a social network into a social commerce network, opening new opportunities for millions of its users and you personally. Being highly experimentative lately, Twitter joined the social e-Commerce revolution too. 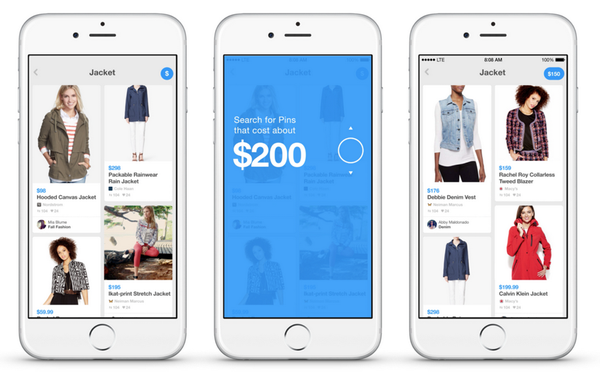 After testing its own version of shoppable buttons with a few big brands last year, Twitter introduced the possibility to burst into a shopping frenzy without leaving the social network. As for now, only entrepreneurs running their stores on Shopify, Bigcommerce, Demandware, and Stripe (and located in the USA) have the chance to play around with it. Others will have to wait. Instagram is undoubtedly the most hyped and rapidly developing social network of the last few years. 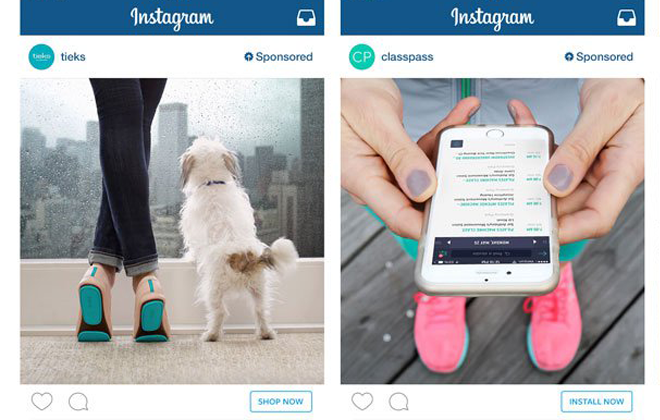 After changing the way people photograph and marketers market, Instagram is serious about changing the rules store owners sell and shoppers shop. In mid-2015, all-favourite “selfie network” launched a new API that added direct-response functionality to ads. Now, buttons are capable of prompting users to “Shop”, “Install”, “Sign Up” and “Learn More”. Naturally, a synonym to word “social network”, Facebook couldn’t stand aside and worked its way through the process of becoming a shopping mecca. Thus, last year Facebook expanded its “buy button” beta testing by cooperating with Shopify allowing customers buy products directly from their feeds. And quite recently, FB presented its Messenger for Business that brings a new way to connect with customers and prospects conveniently via such familiar to us mobile app. If you’re the USA citizen (yep, again), go and try it out using Shopify! Well, that’s all for today. Got encouraged to spend more time on social networks? Be careful not to break your fingers while typing here and there. And be sure not to spend all your working hours checking for updates -- remember stick to the happy medium. Take care!